Myss Lafunky's Blog: Inner Beauty: Beauty Within: Are We Truly Beautiful? Inner Beauty: Beauty Within: Are We Truly Beautiful? Below message is a guest post by one of my readers (she has a ministry (The Brides), her ministry is to equip women to be the bride that Christ will find holy and pure when He returns). The below message links to a post that I wrote last year (May 2013) about pruning, the pruning post can be linked to numerous things in one's life. Click here for the old post. Some years back I had this girlfriend who told me that I was a beautiful lady. One day, I asked her about her understanding of beauty and she said, because God created me, therefore, I am beautiful. Also, she stated that, the fact that I did not apply any make-up on my face, it suggested that I was naturally beautiful. Growing up as a young child, hardly would anyone not tell me how beautiful I was as a girl. Back then in my secondary school days, I had so many toasters (prospective boyfriends-for the benefits of my readers) and I truly enjoyed all the attention from boys. As a teenager, I stood in-front of my mother's full-length mirror, just to admire my beauty. Sometimes, I would even dress up and cat walk round the room. One day, I was in the room doing my usual fashion parade and I never knew my mother was observing me, I was extremely embarrassed when I noticed her. She looked at me and said, ''God will deliver you Tosin'' and she added ''the day you will break this my mirror, that day I will surely use it to give you a mark''. I was anxious to break the mirror, I prayed quietly that it would never happen. But guess what? A month later, I broke the mirror. Don't ask me what happened, the rest they say it's history. After I completed my secondary school in 2002, I went to live with my guardian. It was very interesting living with him, his wife and a large number of ladies. It took a while for me to settle down as I grew up living with my parents and siblings only. On a fateful day, one of the sisters shouted at me and said ''Tosin you are ugly!!!''. You need to see the look on my face. ''I am ugly? How? When? I can never be ugly, I thought. I ran to the room to look at the mirror to truly confirm if someone had changed my beautiful face over night. I checked and checked, the lovely face was still there. Then I reported her, with tears on my face to another sister in the house. She summoned her and confronted her. She flared up and shouted at me again ''Tosin you are ugly, you are not friendly neither are you approachable, infact you are very rude, proud and vain''. Some of the sisters in the house came out to testify to what she said. I wept like a baby. I had never been so humiliated like that in my life. The same face, the same hand and body that left my country where I was a Queen and now in another state, I was seen as ugly. It took me months to get over her words. I was so depressed. I even thought of leaving the house because I thought they were all jealous of me. I became very bitter and I never liked her due to the comment that she made. During one of our family devotions, my guardian shared with us about inner beauty. I may not recall all that he had said, but his message touched my heart. I knew the message was meant for me. I understood clearly what the sister said to me. She wasn't talking about my face but my heart. I realised I needed a heart surgery. I went back to the only Doctor who created my heart and who only can beautify it. I humbly asked him to beautify my heart. I cried, groaned and I poured out my heart to Him. I laid all the ugly things in my life at His feet and they all faded away. Gradually, awesome things started happening to me. It took me days, weeks and months. I became a sweet girl! Halleluyah! The surgery was succesful . I could work in a team again. I could make new friends and live with others without discord. I could give myself to others without holding anything back. Later on, I left the environment that I was, I went to a new place entirely. I met new people who never knew anything about me. Interestly I was also living with a large number of ladies from different background. Many of the ladies became my friends. They admired me and loved my personality. One of the sisters walked up to me and said, ''Sister Tosin, you are very beautiful'', I turned and looked at her because I had not heard the words for so long. Where I was coming from, no one ever said that to me but to be honest with you, they all helped me to discover myself, which I will always be grateful for. Then she continued ''Sister Tosin you have a beautiful heart, I truly admire you. I like the way you behave and handle people. You are so friendly, accommodating and God fearing'' and she further stated that the Lord will continue to beautify my heart. She didn't say my face/my skin complexion was beautiful. I wept, it was a tear of joy, I felt that the surgery that Jesus did was very successful. Don't feel bad when people around you confront you like how the sister confronted me. Myss Lafunky wrote: I recently read a book by Israel Houghton, Israel said that, we need a Sister Sandpaper in our lives. The purpose of a sandpaper is to smooth out rough edges. He said, we need a sister, a brother, or someone that will tell us the things that we do not want to hear- but those things are truly the things that we need to hear before we can become smooth, and in the process of getting smooth, there might be some friction. I have been a Sister Sandpaper in some people's lives, and they hated me for it initially but afterwards, they appreciated my advice as it made them to reflect on their character. I also have sisters/brother Sandpaper in my life. I have gone through the process of being pruned in the place of character, I believe the pruning is continuous, click here for the post that I wrote about being pruned by God. See you next week Monday for another uplifting and insightful post. This is a wonderful story and I'm glad it's a real one. Physical beauty will one day fade away and what'll be left is what's on the inside. Thanks for sharing! Thank you Twale. It's nice to read a comment from a man's perspective about the importance of inner beauty. Most women/young girls focus a lot more on their physical beauty than their inner beauty. Although we should not forget the place of personal hygiene. Nice post! :) It's Natasha, from the youth program. Remember? This is so great. It's nice to know that God is teaching this moral on true beauty to a lot of Christian ladies.I've been pruned on this my whole life and I am still learning. Thanks for your comment Frances. I will check your post on Bella Naija. 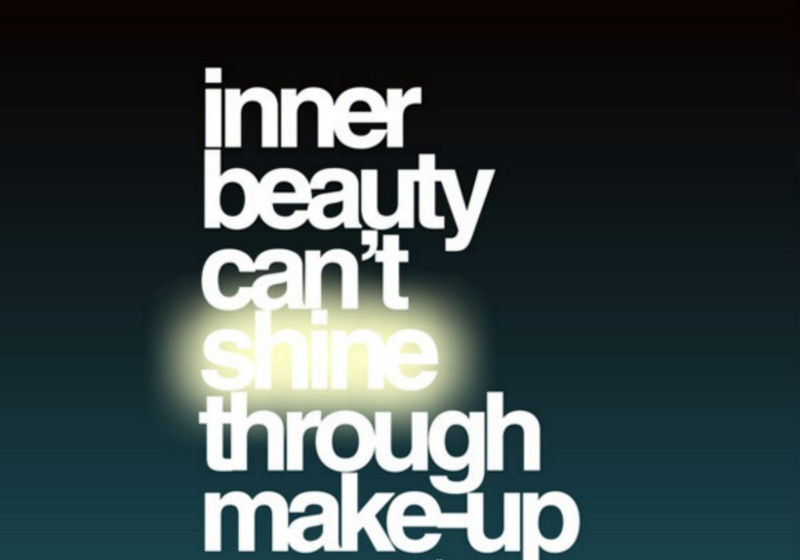 I'm glad God is teaching a lot of us about inner beauty. I hope our men are going through the process of being pruned by God.